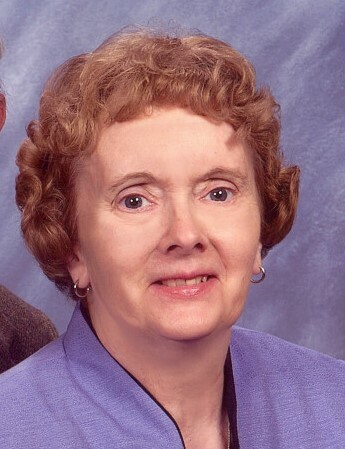 Polly Evelyn Barnes, 78, of Laurel, MD, passed away on Tuesday April 9, 2018 at her home. She was born in 1941 to the late Oscar Bergstrom and the late Polly Nelmes Bergstrom in Washington DC. She was an active member of Laurel Presbyterian Church as member of the women’s circle and helping with the annual bazaar and homeless shelter. She graduated from West Springfield HS, MA in 1958 where she played the trumpet in the HS band. She entered the nursing program at Lasell College in Boston, MA earning her AS in Science in 1961. She sang in the choir and during a joint concert with Bowdoin College met her future husband Wayne Barnes. Her nursing training was in the Peter Bent Brigham Hospital and Harvard Medical Hospitals. During this period pioneering studies were being performed on Kidney Transplantation. She earned her certification as Registered Nurse in 1961. She worked in the hospital in Hornell, NY where her parents lived and then traveled to Springfield, IL to work at the hospital. While there she accepted a proposal of marriage from 2Lt Wayne Barnes who had joined the Air Force after graduating from Bowdoin. They were married on 9 Feb 1963 in Hornell, NY on route to Wayne’s training assignment in Aircraft Maintenance in Chanute, IL. They moved frequently in the Air Force in bases in NH, NC, KS, and FL. During this period Polly gave birth to both of her children. After leaving the service they moved to Laurel, MD in 1970 where she worked many years as RN for Drs Schumer and Manejawala until retiring in 2005. She loved working with children, volunteering at the local Brockbridge Elementary School class room and drama club. She received the county Volunteer of the Month award. She loved sailing, tent camping, and hiking. She also loved working with crafts and sewing. She loved traveling with Wayne in the US and overseas. She is survived by her husband Wayne C. Barnes Jr., son Jonathan Barnes of Frederick, MD, daughter Janet Thomson (Mark) in Ellicott City, MD, granddaughters Jessica Thomson, Dominique Moore, Gabrielle Brown, and great grandson Lorenz Moore. She is also survived by her sister Kathy Burdick (Jack), brother Joel Bergstrom (Luanne) and brother-in-law Jon Yon. She was preceded in death by a sister Janet Yon and daughter-in-law Karleen Barnes. A Memorial Service will be held on Saturday May 11, 2019 at the Laurel Presbyterian Church. There's still time to send flowers to the Memorial Service at the Laurel Presbyterian Church at 11:00 AM on May 11, 2019.